Taking Care of Your Car’s Brake and Clutch Plates Is Now Easy! Brake and Clutch Service Specialist! When you own a car, you know there are certain responsibilities which come with it. Like it is your baby and you have to look after it. You need to give your car time, regularly take it for a ride, feed it with petrol and take it for regular checkups to its doctor which is a car mechanic. The most important part of a car which is usually ignored by the users is the brake. It is the most important part of the car which helps the car to stop at the time it is applied without making any damage to the car. It also helps in stopping the damage and the wear and tear of the car. 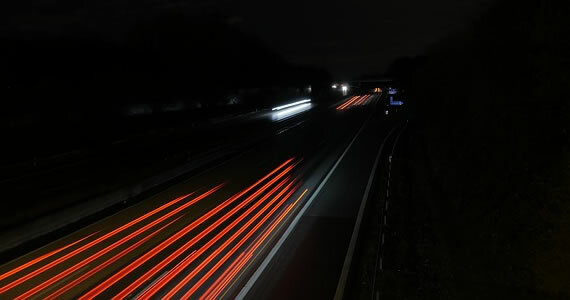 This, in turn, helps the car by not having to manage the car more frequently and thereby reducing the service costs and the time of the owner. Cars nowadays come with hydraulic braking systems and automatic braking system which are needed to be serviced properly. The clutch is always used while the gear is shifted. If you have a manual car, it comes with a clutch. The clutch has 2 parts- a pressure plate and a friction plate. The pressure plate is connected to the gear. Gear shifting mechanism is always connected to the clutch. If the clutch is not maintained properly or if it is not working perfectly then it can cause problems during the gear shifting thereby resulting in the car breakdown. So, the clutch along with the gear needs to be serviced regularly and checked for problems as they can result fatally if they happen while you are driving at high speeds. Why Hiring a Specialist Helps? A brake and clutch service specialist, when hired, can keep your car working without any hiccups and delays. 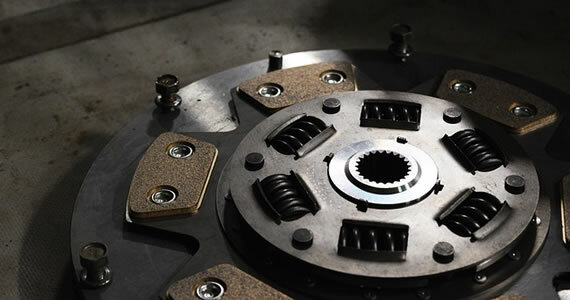 The brake and clutch service specialist can keep your car in excellent condition at all times. Hiring a mechanic who is not known for the brake and clutch service cannot know all the problems associated with the brakes and clutch in the car. He can many times ignore things which a specialist would keep at the top priority. The brake and clutch service specialist, therefore, knows the problems and treats them accordingly. So, you should not think twice about consulting a brake and clutch and service specialist for your car as it can be useful for you in the long run. The car can increase its durability when it is serviced regularly and service by specialized people. Also, each car is different and has different and has different brake types. Just because your neighbor’s car has not given him any extra service does not mean your car would do the same. You should not always look at the cost of the service as these problems if ignored, can turn into bigger problems for you in the future. These problems can, later on, cost you a bomb. So always remember to do first things first and not delay the service for later. Also, the fuel prices are always moving up and regular maintenance of the vehicle can only give you a feeling of thankfulness. This can only be done if you maintain your vehicle regularly and show it to a specialist who can look after it. A well-maintained vehicle can also give you high resale value compared to same vehicles maintained poorly. You can find a brake and clutch service specialist anywhere on the internet or you can ask your friends if they know any specialists in the area who would be happy to help you. Brakes are the lifeline of your car. 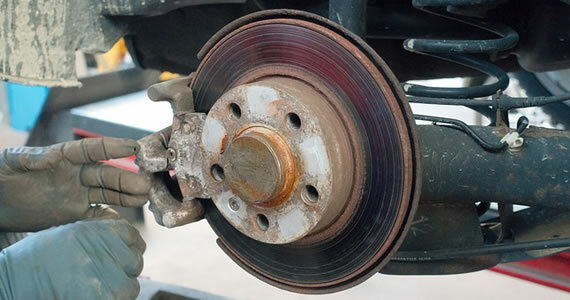 Brake repairs need to be done on a regular basis to ensure the safety of your car. Regular maintenance along with upkeep of the same is an important measure that you can take. The confidence should be within you that the brakes are in perfect condition and the vehicle is not going to stop. It is perhaps the most important safety gadget of your car which tends to get used on a regular basis. Normally in any automobile there are two types of brakes, the standard coupled with ABS. Why regular maintenance of your brake is necessary? It is a hassle to encounter any form of trouble when you are at the auto shop or have an urgent task at hand. These types of incidents could be avoided if regular maintenance of your car is undertaken. It reduces the chances of being stuck in untoward situations. In terms of maintenance it would involve a basic check for removal or a complete overhaul of your car. There are important maintenance measures which are advocated at your end. You would need to take your car regularly to an auto centre to get it checked for brake repairs. First and foremost, you would need to get your engine checked. It is the heart of your car and when it is bust it is virtually useless. When you have your engine serviced regularly it means that the car is working regularly and the speed is intact. It is important that you pay attention to car transmission; otherwise you might be stuck under the hot sun. As part of the car maintenance, checking the brakes is also important. In fact, brake repairs should be undertaken on a periodical basis. It is suggested that you get in touch with a professional mechanic to get the brakes of your car checked. The maintenance of the brakes is primarily important from the safety perspective. Soft brake pedals could be caused if the fluid levels tend to be low. In the meantime, if the brake pads are dirty it would cause the brake to squeak. Regular checking of it is important because it can prevent it from happening and the chances of accidents reduce considerably. When to figure out that the brake pads need replacement? Time and again it has been stressed that brake repairs need to be done to ensure there is safety. If the brakes are safe each person in the vehicle is safe. So, it becomes prudent to ensure that the brakes are in prime condition all the time. 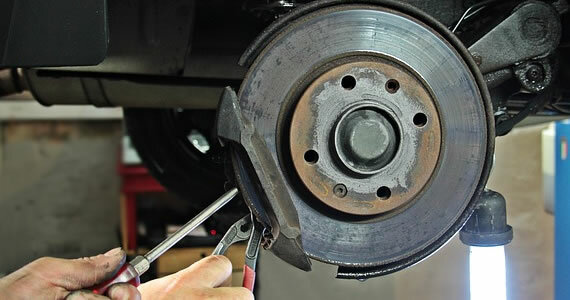 The first important point that the brake needs replacement is when you hear a tweaking sound. It could be normal in certain conditions like rain, but when it is the same for each and every weather condition there is a problem. If the brakes are squeezing on a persistent basis, then it is high time that you get your brakes checked by a professional. Another important sign where your brake needs replacement is when the indicator lights are on. In certain models of cars there is a sensor button on the brakes which blinks and indicates that the brakes have worn down. Get in touch with a professional to examine them and seek their recommendation on what is the best course of action for brake repairs. The vibrating brake pedal is also a warning sign where your brake needs replacement. If it is a challenge to stop your car with the current brake and there is a vibrating sound, then go in for a replacement on an immediate basis. The message for brake repairs is loud and clear that get your car checked. Proper maintenance will go a long way in ensuring that your car serves you for a long time. By making sure that the vehicle is in good working order, you will minimize the chances of potentially deadly accidents. One of the areas you should focus on when you take your car for service is the brakes. These important components help to slow down or bring your vehicle to a stop whenever there is an imminent crash. If you are to know whether your brakes are wearing out, there are specific signs you should be aware of. Here are three warnings to look for when driving your car. This is perhaps one of the most obvious warning signs that your brakes may be wearing out. In case you notice that the brake pedal sinks too far towards the floor or is not as responsive as it is supposed to be, you should take this as a warning. In most cases, reduced responsiveness will be an indication of leaking brake fluid. If a puddle of fluid forms when the car is parked, this could be yet another indication of leaking fluid. Since reduced responsiveness will increase the risk of a crash, you should get a trustworthy mechanic to repair your brakes. There are times when you will hear a loud metallic sound whenever you step on the brake pedal. The grinding noise may be as a result of two metallic parts, the disc and the caliper, rubbing against each other. Since this is a clear sign that your brakes are already worn out, you should seek brake repair services as soon as possible. A visit to brake repair and maintenance experts, such as Dualtone Muffler Brake & Alignment, will ensure that the problem is corrected before other parts get damaged. In case you notice your vehicle pulling to one side every time you brake, two possibilities should come to mind. Either there is foreign matter in your brake fluid or the brake linings have been wearing unevenly. If there is foreign matter in the fluid, the fluid will have to be drained then replaced. Brake adjustment would be the appropriate step to take in case of unevenly worn linings. This list is by no means exhaustive. If you notice wobbling, bouncing up and down when you brake or a burning smell while driving, you should take your car for inspection. As much as brake parts will wear out over time, putting the problem off will pose unnecessary risk and result in bigger repair bills. The braking system in a vehicle helps to control the acceleration of the vehicle. The brakes are an important part of the vehicle to operate safely irrespective of the kind of vehicle. Once you own a vehicle. It is important to take care of the brakes. It ensures the vehicle comes to a complete stop on command. Hence, regular brake repair is a must in such cases. The brakes have pads that have indicators. If there is any noise heard from the indicator, then it is high time to replace the pads. The brakes need pressure to work, so if it is not in a good condition it will not operate properly. Apart from this, various components go along with the braking system. The disc brakes have components like rotors, calipers, and pads. On the other hand, the drum brakes use wheel cylinders, shoes, as well as drums. The braking system is divided into two types. One is the hydraulic and the other regenerative. The modern vehicles usually operate under hydraulic system. There are a few models in vehicles that combine both the systems for operation. When and why brakes repair is needed in your vehicle? The brake needs repair if the light of the dashboard glows amber. This indicates problems. It means there is something wrong with the lock brake system. If the light is red, the indication is that of imbalance. The brakes are not working properly if the brake pedal is spongy or gives a slow response. The grinding or the constant squealing when you use the brakes is an important indication for repairs. The cost for brake repair varies from the kind of job to be done on the vehicle. There are professionals who do the basic checking so that you can drive safely. They also determine the extent of the problems in the vehicle. The indications are the warning signs for immediate repair. The brake pads worn out or there might be issues with caliper and drums. Therefore, the entire cost of the brake repair will depend upon which part is not functioning properly in actual. The low amount of fluid in the brakes is a common problem. This may not cost much, as it is easy to solve. This you can do on your own but if you hire a mechanic then you have to pay a minimum amount. The braking system is the most important part of a vehicle. 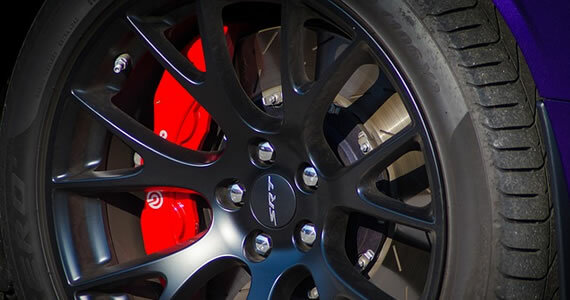 Hence, even though one cannot afford a comprehensive brake repair of the braking system, repair it on a regular basis in order to improve safety enhancing the performance of the brakes. This can be explained further, as for instance it is not required to reline the rare brakes while installing the front disc brake pads. If the fluid has contaminated the shoes, then replace them. Installation of new linings on the brakes at the rear is a wise decision. The brake calipers and the wheel cylinders also need equal attention. They have to either repaired or replaced depending upon their condition. Preventive maintenance of the brakes is also a good option to extend the life of the braking system.